& p,q,r … are the powers of the prime factors of N.
The obvious question which arises is, why this formula in particular. It is actually a game of choices and options available. Let us see how. Suppose you are going on a camping trip and you have packed all the necessary items. Now you are wondering how many movie DVDs, music CDs & MP3 players you should take. (Please do not judge me by the example. I have no experience about camping trips but I guess that is obvious by the example mentioned). In your collection, you have 5 movie DVDs, 4 music CDs and 2 MP3 players. How many choices / options do you have for the number of movie DVDs that you can take? How many choices / options do you have for the number of music CDs that you can take? How many choices / options do you have for the number of MP3 players that you can take? Are the answers to all the above questions independent of each other? Yes. All answers are independent of each other. So, what is the total number of options / choices do you have while packing for the camping trip? If you understood the above example, the number of factors formula should be a piece of cake. Any combination of the above will make a factor. You have 6 choices for picking up the number of 2s in a factor, 5 choices for picking up the number of 3s in a factor and 3 choices for picking up the number of 5s in a factor. So, the total number of factors = 6 x 5 x 3 = 90. Now, for finding out the number of even factors consider the camping trip case. So, in this case the number of choices for picking up the movie DVD has reduced from 6 to 5 because you HAVE TO bring the Twilight DVD. Same logic can be extended to finding out the number of even factors. 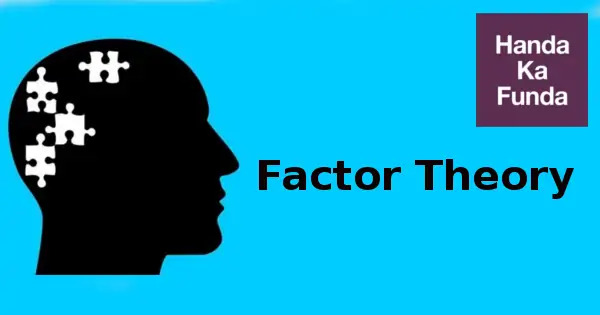 As a matter of fact, if you have the total number of factors and the total number of even factors; their difference would directly give you the total number of odd factors. Such logic can be extended to find out the number of factors divisible by a particular number. The logic remains the same in this case also. If you expand the above expression, you will end up with all the factors. Quantitative Aptitude – Number Systems – Q3: The numbers 1, 2,…,9 are arranged in a 3 X 3 square grid in such a way that each number occurs once and the entries along each column, each row, and each of the two diagonals add up to the same value. I hope that this post was helpful and you will not face any problems in finding out the number of factors and related stuff.